Living on planet Earth we are 'on board' of an interstellar spaceship travelling through the galaxy together with all other stars and their habitable worlds! Many stars in the galaxy are much older than our Sun and the evolution of life in their solar systems may be millions of years ahead of us. Can you imagine a civilization millions of years more advanced than ours? The population in the galaxy counts 300 billion stars. We really cannot fathom the abundance of worlds, life forms and cultures in our galaxy! The interscalar view of the world could be the new scientific paradigm that will show the complex connection of processes at very different scales in the universe explaining mathematically how subatomic and galactic scales are directly related to biological life. The interscalar view of life and the interscalar concept of ethics are essential for the survival of humankind. We need to change our view of the world in order to realize the profound meaning of life in the universe. Then can ethical consciousness increase and war will cease to be an option in human relationships. If we look at the Earth only in one scale, only as a celestial body, we will not be able to recognize planet Earth as a life form. 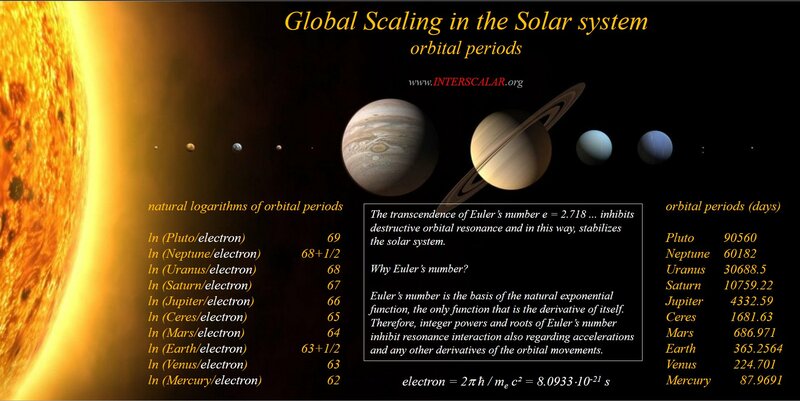 Only if we consider all embedded scales, seeing Earth in an interscalar way, can we perceive it as a life form, and also the solar system as an even greater life form in which Earth, all of humanity and all the other kingdoms are embedded. Right now there exist an estimated one trillion biological and mineral species upon planet Earth, but only one thousandth of one percent of them have been described.